I saw this on TV. 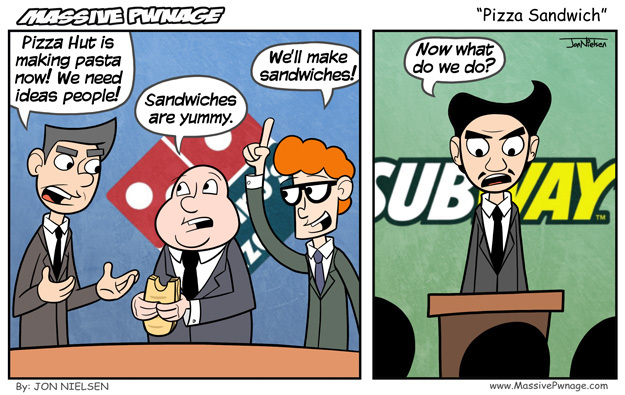 This comic is a completely accurate portrayal of the events leading up to Dominos offering sandwiches. 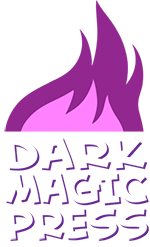 This entry was posted on Friday, February 6th, 2009 at 12:00 am and is filed under Comics. You can follow any responses to this entry through the RSS 2.0 feed. Both comments and pings are currently closed. Lol they sell pizza sandwiches at my school. They have beacon, cheese, ham and pizza sauce. Considering they sell pizza at Subway now (something new, or maybe I simply didn’t notice before) you might not be too far off. Yup, I managed to predict that one. It was awesome!